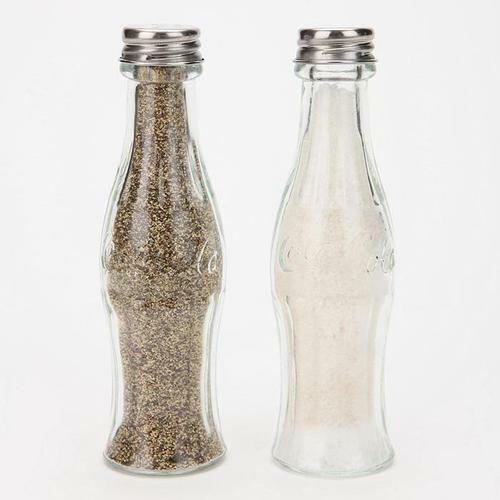 This is a set of salt and pepper shakers full of creativity. As shown in the images, the salt and pepper shaker set is inspired by the classical glass bottle of Coca-Cola. Each little bottle measures 1.75 x 1.75 x 5.75 inches, and features a silver metal screw cap at the top. Apart from that, the salt and pepper shakers are hand washable. 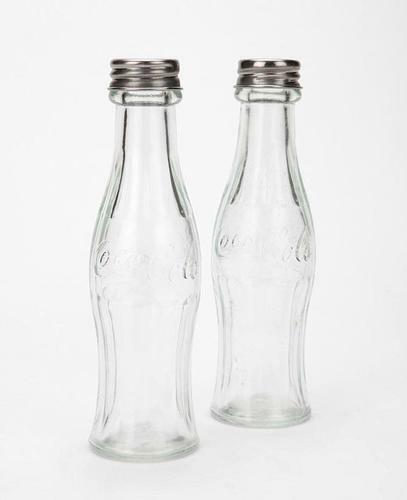 This set of Coca-Cola salt and pepper shakers is priced at $16 USD. If you’re interested, jump to Urban Outfitters (unavailable) for more details. Additionally, if you need more interesting options, you might like to check cell battery salt and pepper shakers and Space Invaders salt and pepper shakers.